AKA: 3MV;3MV-1;Zond 1. Status: Operational 1964. First Launch: 1964-02-19. Last Launch: 1964-04-02. Number: 3 . Gross mass: 890 kg (1,960 lb). Family: Venus. Country: Russia. Launch Vehicles: R-7, Molniya 8K78, Molniya 8K78M. Projects: Mars, Venera. Launch Sites: Baikonur, Baikonur LC1. Agency: Lavochkin bureau. Bibliography: 2, 279, 6, 64, 65, 13331. 1964 February 19 - . 05:47 GMT - . Launch Site: Baikonur. Launch Complex: Baikonur LC1. LV Family: R-7. Launch Vehicle: Molniya 8K78. FAILURE: Failure. 1964 March 1 - . Launch Site: Baikonur. Launch Complex: Baikonur. LV Family: R-7. Launch Vehicle: Molniya 8K78M. Venus launch delayed. - . Payload: 3MV-1. Nation: Russia. Program: Venera. Class: Venus. Type: Venus probe. Spacecraft Bus: 3MV. 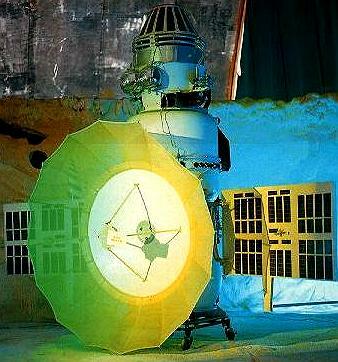 Spacecraft: Venera 3MV-1. Decay Date: 1964-03-01 . The launch was delayed due to malfunctions during prelaunch service..
1964 March 27 - . 03:24 GMT - . Launch Site: Baikonur. Launch Complex: Baikonur LC1. LV Family: R-7. Launch Vehicle: Molniya 8K78. FAILURE: During unpowered coast in parking orbit the escape stage Block L lost stable attitude due to a loss of the power circuit of the pneumatic valves of the attitude control and stabilization system.. Failed Stage: U.
Cosmos 27 - . Payload: 3MV-1 s/n 3. Mass: 890 kg (1,960 lb). Nation: Russia. Agency: Korolev bureau. Program: Venera. Class: Venus. Type: Venus probe. Spacecraft Bus: 3MV. Spacecraft: Venera 3MV-1. Decay Date: 1964-03-29 . USAF Sat Cat: 772 . COSPAR: 1964-014A. Apogee: 209 km (129 mi). Perigee: 197 km (122 mi). Inclination: 64.80 deg. Period: 88.50 min. The stage with payload remained in Earth orbit as Cosmos-27..
1964 April 2 - . 02:42 GMT - . Launch Site: Baikonur. Launch Complex: Baikonur LC1. LV Family: R-7. Launch Vehicle: Molniya 8K78. 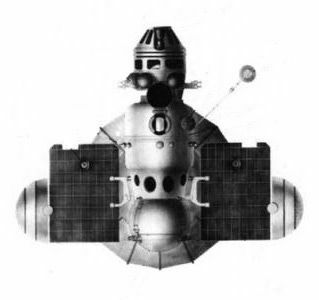 Zond 1 - . Payload: 3MV-1 s/n 4. Mass: 890 kg (1,960 lb). Nation: Russia. Agency: Korolev bureau. Program: Venera. Class: Venus. Type: Venus probe. Spacecraft Bus: 3MV. Spacecraft: Venera 3MV-1. USAF Sat Cat: 785 . COSPAR: 1964-016D. Failed Venus probe. Solar Orbit (Heliocentric). Elaboration of a long range space system and conduct of scientific research..